I don’t like doing hikes that I haven’t done before, I prefer to tread paths that I know. Last year I broke with tradition and was reminded of why this is, after following a path that came to a dead-end and retracing our steps several times decided the prudent action would be to go down the way we’d come up. I look up at the Twelfth Apostle mountain every day from the garden and for the last 10 years have wanted to climb up the back to the top and come down the front. And there is a path, I just didn’t know where it was until now. Beginning 2013 on a high! What better way to start the New Year in Cape Town then a hike with friends for a champagne breakfast on top of one of many mountains we live beneath. Cheers to that and if this view is in any way indicative of things to come it should be a great year! A hike up Lion’s Head at full moon has been on my list of things to do since my family moved to Cape Town in 2002 and I first heard about it. Every year it has come up in conversation around the braai on various occasions followed by “we must do it! When is the next full moon?” but it’s never happened; until now that is! Yesterday the weather was as near perfect as can be. No wind, clear skies with great visibility and while the moon wasn’t full (that happens on the 28th) it was very nearly there and more than bright enough for our hike. We met at the start point at 6:00pm and started up the winding path that resembles the ridges of a snail’s shell spiralling up the mountain. Being one of the hottest days this summer, we soaked up the shade on the city side of Lion’s Head where we took a break to sip on some water and marvel at this view of Cape Town. It feels like only just got back from my trip to America and now I’m off again but locally this time – more to follow in future posts. The States was great though and if you haven’t seen any of my photos yet be sure to check out my post on Chicago’s buildings and skyline , a time-lapse of the six days of flying at Oshkosh and why it took me an hour to walk across the Brooklyn Bridge. 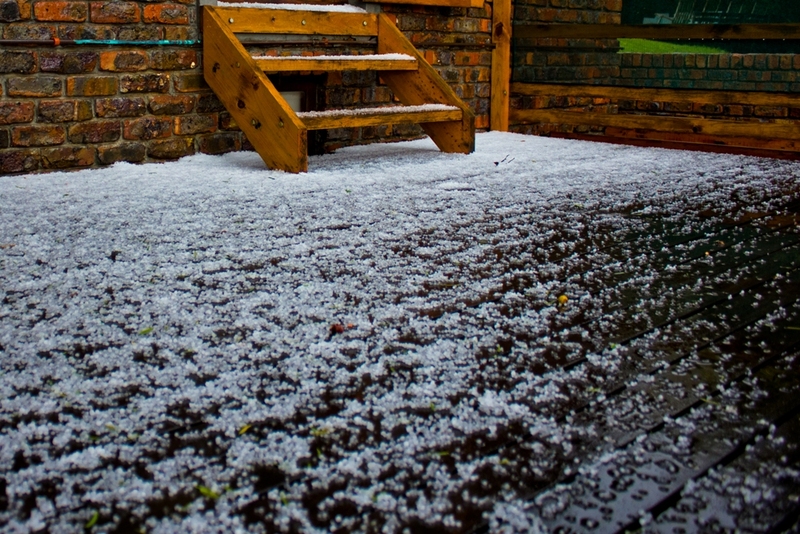 After three weeks of summer in America it has been quite a shock coming back to winter in Cape Town and even more so when the deck outside my room was covered in hail. Winter in Cape Town is not all bad though as in between the cold fronts and rainy days we do get some absolutely glorious days when there is no wind, the sea is calm, the air is clear and the sky is blue. It’s days like these that make you forget all the rain and damp. 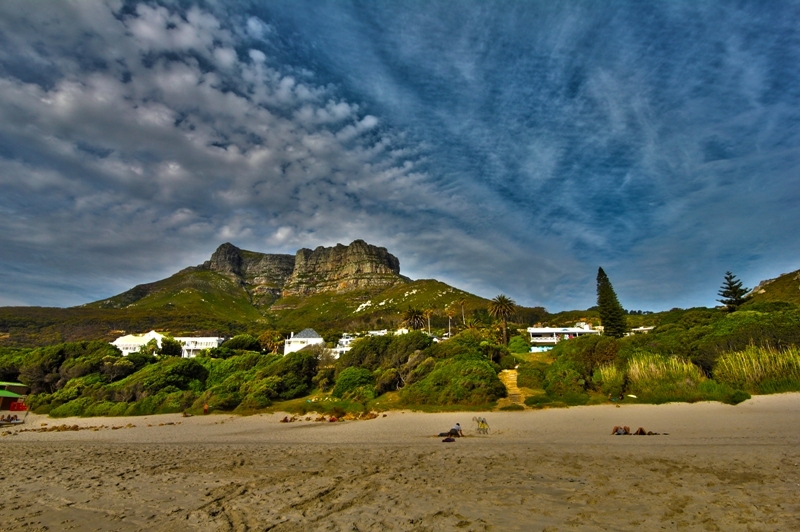 It’s days like these that remind you just how magic a place Cape Town is to live. It’s days like these that even driving to work one just has to stop and admire the city in which we live. And it’s days like these that I have to stop and take a photo to share with you. Do any of you have a view like this too, on your drive to work? The other day I was driving to work. I had to go in early and there was thick fog but as I climbed out of Hout Bay over Constantia Nek it cleared and you could see that it was only in the low-lying areas. Being winter the sun wasn’t up yet but 15 minutes later when I was making my way over Ou Kaapse Weg there was this beautiful scene as the sky was lightening and the air was clear while this thick blanket of fog lying over Cape Town. I always have my camera on me nowadays and I had to stop and take this picture. Once again I was up early. I opened up the curtains to see clear skies and quickly got ready to explore one of the hiking trails while the others slept late. Although the grass lining the path was wet from the overnight rain and my pant legs were soon soaked it was too nice a morning to turn back early. The path soon opened up and I managed to make it to the viewing deck, on the Bushbuck trail, where I took some time to just sit in the stillness of the morning watching the fish feeding in the shallows while the rising sun bathed the opposite bank in light – a peace that you can’t find in the city. I would have stayed longer but our tour was due to start at 9am and I still had to get back to the chalets. 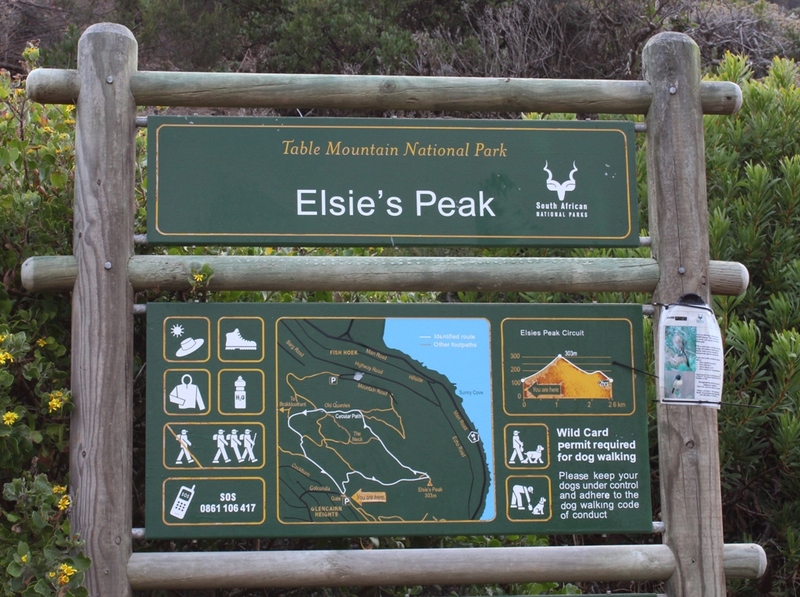 While it might not have the big five, one of the attractions of the Bontebok National Park is that you can walk freely without having to worry about dangerous wild animals as well as being able to get up close to some of the fynbos. It is also one of the last remaining ‘renosterveld islands’ with several endemic plant species. As you may or may not know I’ve been spending quite a lot of my time working on my photography recently and have started a new blog to showcase my best images so if you haven’t already go check them out at Rory Alexander Photography. Anyway, on to this post, a hike which I did back in March. It was a beautiful morning and so we decided to earn our breakfast by walking from our accommodation at Duinepos to the Geelbek Restaurant. We had only just started walking along the road when we saw a group of ten eland that crossed the road in front of us. We experienced that special something of being able to walk freely amongst nature and wildlife; as we stood watching them, they stared back at us. 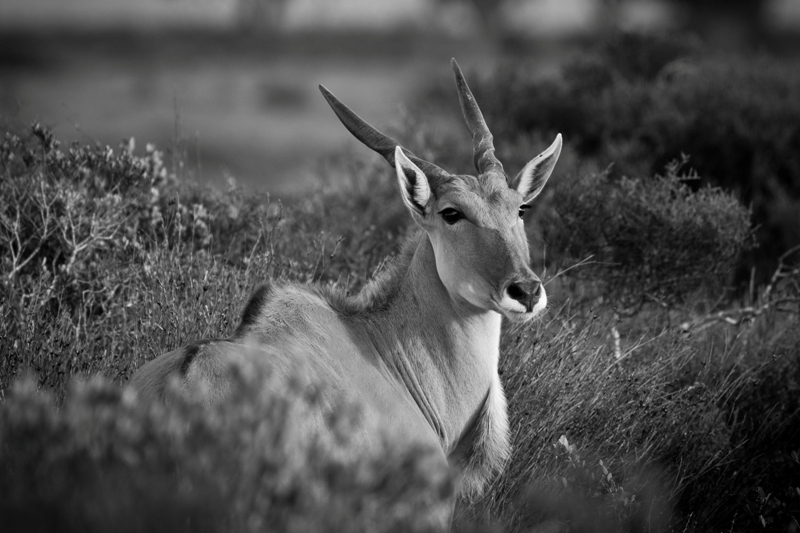 Eland are the largest antelope with a shoulder height 1,5 to 1,75 m and can have a mass up to 900 kg. Both sexes have horns, which have one to two tight spirals. They seemed to be hungry too and after checking us out returned to browsing the fynbos as we continued on our way. On the 2nd January I packed a few bags, my wetsuit and moved to St James where I was going to be house sitting for friends of mine who were on holiday in Thailand. Working freelance I hadn’t really had much of a holiday since getting back from China as I had to take work when it came up so I treated this week like my own holiday. It was like a summer beach holiday with perfect weather most of the time. I was greeted with this view every morning.